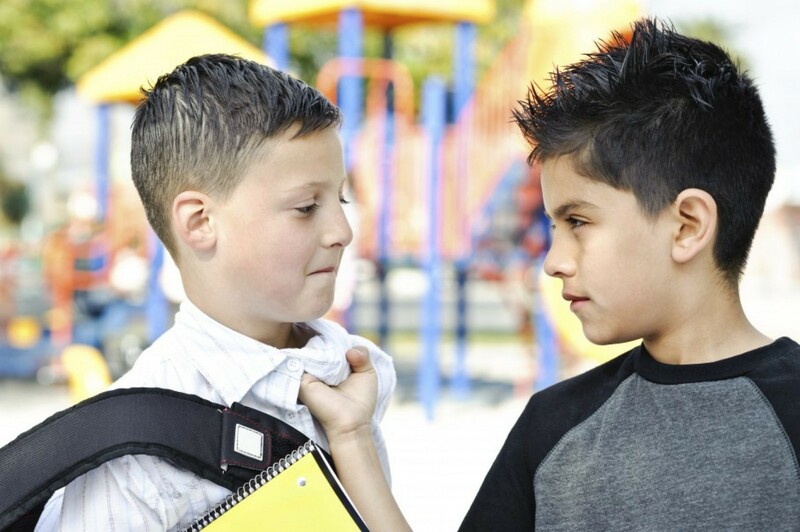 SCHOOLYARD bullies are more often stopped by meetings with their victims than by being punished, new research has revealed. A study of 25 Australian schools found the best way to curb bullying was through ­restorative practice — asking a bully to reflect on the damage they have done and “act ­restoratively”. Mediation and improving the social skills and assertiveness of victims also helped, schools said. But direct sanctions, such as verbal reprimands and detentions, were labelled least effective. Researcher adjunct professor Ken Rigby, from the University of South Australia, said schools weren’t going soft on bullying by tackling the issue with mediation and meetings. The study, published in the Australian Journal of Education, found some schools used direct sanctions in cases of extreme bullying or when restorative practice had failed. Elwood Primary School uses mediation and meetings with students to stop bullying, but doesn’t punish kids with ­detention. 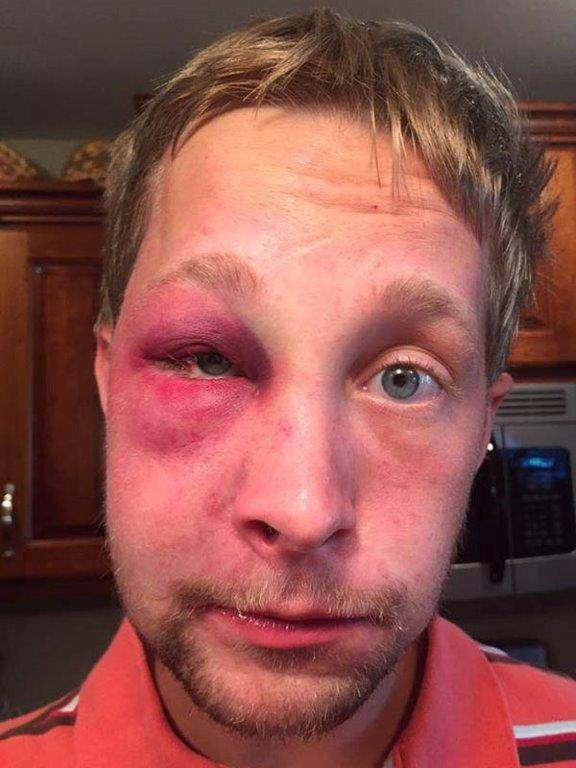 Bullying Victim Teaches His Attackers a Lesson! 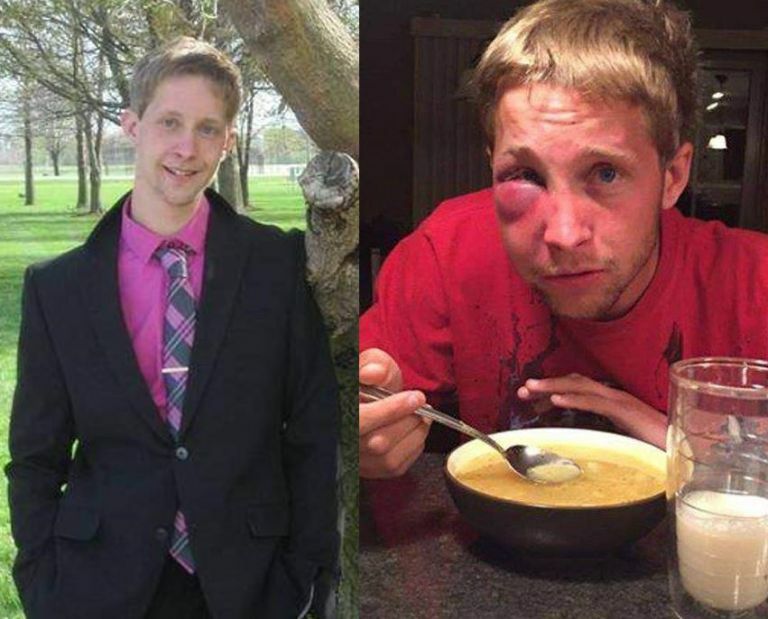 A teenager gets beaten by his bullies and has the opportunity to have his attackers charged. But no, he thought of something even better! Are Kids Really More Aggressive Nowadays? Tag…a simple game of tag. Seems innocent enough. But is it? Not according to many teachers. In the fall of 2013, the problem of banning the childhood game hit a little too close to home. At a local New Hampshire school, tag was no longer a reality for many children. A classic game that was cherished through the ages was dismissed due to safety concerns. Parents and children were confused and some were outraged. Headlines stated everything from, “Banning Tag is Dumb” to “More Schools Banning Tag because of Injuries.” Curious, I started interviewing teachers in Maine and New Hampshire about what they were seeing at recess time. One teacher said, “Kids are becoming more aggressive. When they play games like tag, they push with great force, often hurting the other child. We had to implement a ‘two-finger’ touch rule, so that kids couldn’t push so hard.” Another teacher that had been around for 30 years, saidshe had seen an increase in aggressive behavior as well. “They can’t seem to keep their hands off each other! Kids are always getting hurt.” A local principal stated that tag had become such a problem that they had to get creative. They gave the children foam noodles to “tag” the other children with and avoid actual contact with the hands. The problem? Due to less time in active play these days, children are not developing the senses in their joints and muscles (proprioceptive sense) like they used to. In the past, it was more common for children to help with the outdoor chores. They would assist with raking leaves, shoveling the snow, and would even earn money by mowing lawns in their neighborhood. They’d also play for hours outside – moving heavy rocks to build a dam, scaling trees to new heights, and digging moats in the dirt. All of this “heavy work” helped children to develop a strong and healthy proprioceptive system. Pediatric occupational therapists often prescribe “heavy work” to young children who have trouble with their proprioceptive sense. This usually consists of anything that gives weighted input to the joints and muscles, such as pulling a wagon that is loaded with bricks, carrying grocery bags, and digging in the garden. These are things that children would be naturally getting if they spent a considerable amount of time outside. Due to the busy schedules of today, children often don’t have hours to explore the outdoors, to help with the outside chores, or even do small jobs that require manual labor. Therefore, many children don’t have the same opportunities to fully develop and fine-tune the senses in the joints and muscles. As a result, more and more children are starting to have trouble regulating how much force to use when pushing and pulling and even interacting with the objects and people around them. This is why we are seeing children hit with too much force during a game of tag. Their senses are not quite working right – all because they are not engaged in an adequate amount of active play and movement on a regular basis. What happened to the fundamental principle of sportsmanship and healthy competition? The teams involved were Santa Monica High and Beverly Hills High. The fight broke out at Santa Monica High on Jan. 23 following a sweep of the JV and varsity boys’ and girls’ basketball teams by Beverly Hills. Officials with both schools are now taking steps to diffuse the long-standing rivalry. “If I do not believe that we can participate at Beverly safely, I will cancel all games,” Santa Monica Principal Eva Mayoral wrote to parents. As is the usual custom, most of the cars parked were at 4th Street, at the Santa Monica Civic Center. As students walked to their cars, angry words were exchanged. “I heard there was a big fight, things just got out of hand,” says Santa Monica High student Ronnie Cornelius. He wrestles for the school — didn’t attend the game — but told Mills “everyone” was talking about it. Without warning, a boy in uniform is pushed. But it’s soon clear, this is no schoolyard tiff. 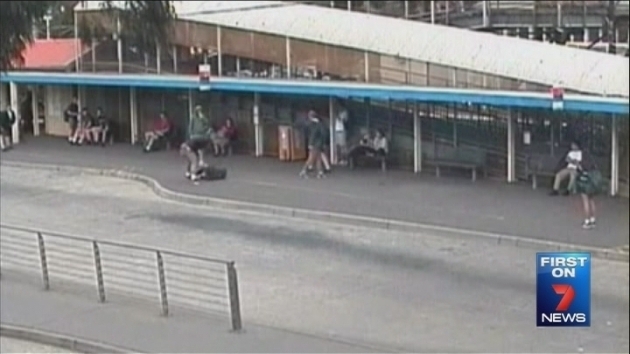 After being grabbed and pummelled, the victim is thrown to ground and swiftly kicked in the head. Four left fists follow before a second kick, and a third to finish him off. The young thug then adjusts his cap as he coolly walks away. The unprovoked attack at Ringwood Station was carried out last October by a 15-year-old boy, who can’t be named for legal reasons. He pleaded guilty in a children’s court and was sentenced to 12 months probation. The violent teen is the son of a prominent AFL player – but instead of using his skills on the sporting field, the boy is getting his kicks by preying on others. While the boy hasn’t been named, 7News understands teenagers know who he is and several have also been harassed or assaulted by him but have been too frightened to come forward. Psychologist Dr Simon Kinsella says such aggression in young males is all too common. “Very often they’re trying to maintain their reputation amongst their peers as being a tough person, a tough guy, and they don’t give any real consideration to what impact it might have on the victim,” he told 7News. The victim’s parents hope their son’s courage will encourage others to go to police. They are considering legal action against the attacker’s family. 1. Your child needs to be aware of others’ inner experiences. It needs to become second nature to him to think about others and their feelings almost as quickly as he thinks of his own. Many parents validate one child’s perspective, but fail to discuss their own feelings or feelings of another child. Just validating your own child’s feelings does not teach him that there are other people in the world whose feelings matter. 2. Discuss your own emotions too. 3. Discuss both siblings’ or friends’ emotions after any conflict, validating and empathizing with both sides. Do not only validate the child whose actions you agree with more. Example: “You were mad that your sister grabbed your doll, and she was feeling sad that you weren’t paying attention to her. That’s probably why she grabbed it.” You’re not condoning any behavior, but just giving a value-free description of the emotions underlying each child’s actions. 4. Make sure to speak for those who cannot speak, such as pets or babies. “Why is baby crying? I wonder if he is hungry or tired? What do you think?” And a zero tolerance policy for meanness to those smaller and weaker than yourself. Horton Hears A Who! by Dr. Seuss is a good book to serve as a springboard for a discussion about why it is important to look out for those smaller than yourself. 5. When you interact with others outside the home, discuss their feelings later together. You can also do this with characters in books and on TV. 6. Aim for consistency around the issue of meanness and teasing. 7. When children see others who are different from them, e.g. with special needs or birth defects, it is important to discuss that everyone has feelings and wants friends. Don’t be content with just telling your kids not to talk meanly or make fun of these children. You should go up and say hello and introduce yourselves. Read this wonderful article by a mom of a little boy with a craniofacial disorder for more on this. 8. When you are mean, apologize. Don’t just feel ashamed and then try to silently make it up to your child or partner later. Own your mean behavior. This is extremely important because you’re modeling taking responsibility for your mean behavior. Children learn from what they see you do much more than from what you tell them to you. If I can add to the list I would recommend having your child watch the entire How to UnMake a Bully series. I was fortunate enough to have some involvement in the installment above. A former victim of high school bullying was asked on a date by one of her taunters only to stand him up with an excellent note that has seen her showered with praise from all over the world. It all started eight years ago when UK student Lousia Manning, now 22, was bullied at high school where she was called fat and nicknamed “man beast” for having hairy legs. Years later at Oxford University, she had a chance encounter with one of the bullies who asked her out to dinner, setting an elaborate plan in motion. Instead of turning up at the restaurant as planned, she arrived early and left a note with a waitress. “Hey sorry I can’t join you tonight,” it read. Needless to say, the story received a huge response with anyone who has ever been bullied punching the air all around the world.